The “Pitcher Wreck!” What a fitting description of diver Don Shomette’s 1975 discovery of the steamship SS New Jersey sunk in the Upper Chesapeake Bay, Talbot County, Maryland. That’s how Don christened the site after discovering crates of milk-glass molasses and hobnail syrup pitchers in the cargo hold. The popular household containers had been immersed since the late 1800s when the steamship caught fire and sank south of Poplar Island. Rumors poured in, (pun intended) disputing its identity, until final reviews confirmed it as a Baltimore Steam Packet Company vessel. The company, better known as The Old Bay Line, operated for 122 years (1840-1962), making it the oldest and last overnight packet steamship passenger service in the country. Sailing the Chesapeake Bay, mainly between Baltimore, Maryland, and Norfolk, Virginia, the vessels carried packets of mail issued through government contracts. The major qualification for these 19th century “packet steamers’ was to sail on a fixed daily schedule between two or more cities. In addition to its Baltimore to Norfolk runs, the line occasionally provided passenger, freight and vehicle transport to Washington, DC, Richmond and Old Port Comfort, Virginia. The stately, single funnel, triple deck liners were acclaimed for their genteel service and fine dining. 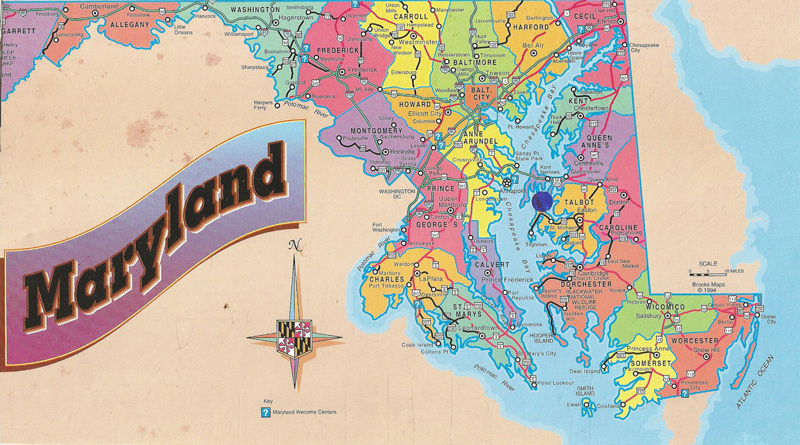 Maryland crab cakes and Eastern Shore oyster dumplings were just two of many Chesapeake cuisine favorites. 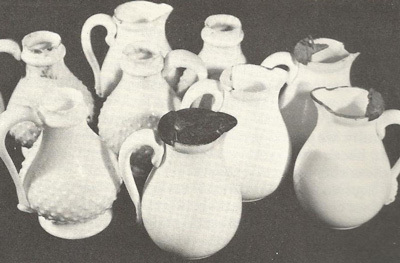 It seems fitting that the salvors retrieved some dining room artifacts, such as silverware, dishes, cups and saucers in addition to the pitchers. Serendipity kicked in later when the divers realized their discovery was one of the Free State’s finest old liners. Credit was given to Vance Henry, Captain of the Bammy II out of Chesapeake Beach, Maryland, for getting the “hit” on his fathometer and taking the divers to the site. He said he found it the year before when it appeared as a large object submerged in 50 to 80 feet of water. It was however, a somewhat dangerous dive. Swift currents, poor visibility and its location near major shipping lanes required considerable diving experience and no fear of claustrophobia. “My buddy Jay Cook and I were the first to descend on the wreck,” Shomette said. “At a depth of 10 feet, darkness set in and we turned our dive lights on, but visibility still was only six inches.” Feeling their way, the divers accidentally swam into an upright timber, an unnerving experience, but proof they were on a wreck. Attaching a reel line to a sturdy timber, they descended 10 feet into a cargo hold. Groping in what had increased to one foot of visibility, the divers found broken crates of intact pitchers. Gently placing some of the glassware into their collection bag, they moved carefully through tangled machinery, piping and large lumps of coal. What appeared to be the vessel’s funnel lay in their path near one of the boilers. Upon surfacing and examining the finds, they discovered an engraving on the pewter lid of one of the hobnail pitchers: “J.H. Hobbs & Co., Wheeling, W.Va., Pat. May 11, 1869.” Coupled with further research, this verified the wreck as the SS New Jersey, a steam packet vessel built in Baltimore in 1862. More evidence showed that it was engulfed in fire and sank while underway to Norfolk carrying 750 tons of freight. Fortunately, there were no passengers aboard and the captain and crew were rescued by an oysterman out on the Bay in his pungy. The long tenure and history of the Old Bay Line steamers is impressive, especially the story of the Exodus. In 1942, during WWII, the line’s SS President Warfield became a transport ship for the British. After the war, in 1946, an underground Jewish organization in Palestine purchased it in an attempt to bring European refugees back to their Israel homeland (see the 1958 bestseller, Exodus by Leon Uris and the 1960 blockbuster film starring Paul Newman). Renamed SS Exodus—using the name in the Jews’ great biblical exodus from Egypt—the vessel reached shore off Palestine only to be turned away by the British. Although the effort failed, it was dubbed “the ship that launched a nation,” raising awareness of the Jews’ struggle for their homeland. 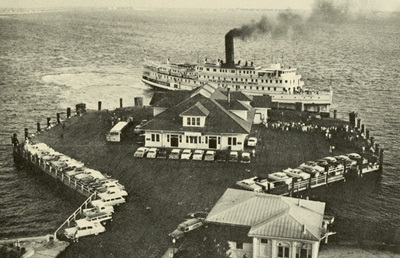 Many factors contributed to the Old Bay Line’s demise: faster and cheaper transportation emerged; maintenance of the vessels and staff payroll increased; and the romance of early steamship travel diminished. In 1962, when the line’s future dimmed, many people hoped the company could still stay afloat (pun intended), but such was not to be the case. What an interesting article. I had no idea that Baltimore, my home town, had such a lovely steamboat going south to Norfolk, Virginia. I see the posted picture. What beautiful vessels they were. They stopped sailing in 1962. Do you by chance remember them? I sailed on both the City of Richmond and City of Norfolk and had the good fortune of knowing the captains on both ships. That got me into the wheelhouse as a youngster and the opportunity to handle the big wooden steering wheel and the whistle. Both steamers were classics and excellent examples of the types of steamers that operated on Chesapeake Bay. If only we had vessels like them today. Ken and Jean Haviland were very good friends and we had many good times together. Ellsworth, I used to correspond with Jean Haviland when doing wreck research. I still have her letters, written in long hand, in my files. A wonderful lady! Rich: What a wonderful memory, learning that you still have Jean’s letters. She had a beautiful handwriting. She responded to all inquiries as long as the writer enclosed a stamp or stamped envelope. She was very helpful to many divers. She and Ken had the largest private maritime library/collection in the U.S. When they passed,everything was bequeathed to two maritime museums.